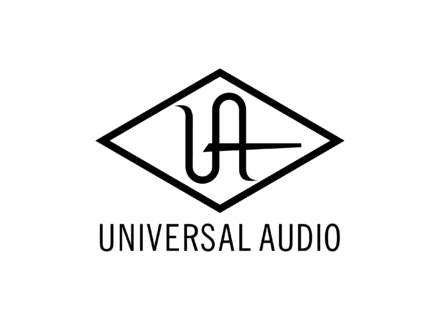 Universal Audio has announced the release of UAD Software v5.3 for the UAD platform. o New plug-in: UAD 4K Channel Strip. o New plug-in: UAD 4K Buss Compressor. o New plug-in: UAD Cooper Time Cube Mk II (UAD-2 only). o Extra presets are included in installation. o Enhanced dialogs when loading authorizations. o (UAD Meter) Added key command for "Always On Top" mode. o (UAD Meter) Card disable button updates after scrolling in System Information tab. o (UAD Meter) Use Host Mode setting works properly in Cubase 4/Nuendo 4.
o UAD buffer automatically configures to match audio hardware I/O setting. o Mono instances generally use less DSP. o Factory presets available in RTAS format. o (Mac) Fixed plug-in UI drawing issues under Mac OS 10.5 Leopard. o New firmware improves overall performance and stability. o RE-201 now sonically matches UAD-1 version. o Fixed "DSP Load Limit" error with multiple Cambridge EQ instantiations. o Fixed Precision EQ "DSP Limit Expired" error when DSP Load Lock is disabled. o Fixed intermittent audio corruption and system spiking with Precision De-Esser. Windows: Plug-in subfolders are created when UAD presets saved with UAD Toolbar. Macintosh: Authorization files can be dragged onto UAD Meter window. Universal Audio Cooper Time Cube Mk II, The Cooper Time Cube Mk II includes a 14-day fully functional demo and is now available for purchase to UAD-2 owners for $149. [NAMM] Universal Audio UAD-2 SOLO/Laptop Universal Audio today announced the creation of the UAD-2 SOLO/Laptop™, a compact ExpressCard™ version of their UAD-2 SOLO DSP Accelerator card. Universal Audio UAD-2 Omni Universal Audio, a manufacturer of audio hardware and DSP Powered Plug-Ins for digital audio workstations, today announced the release of the UAD-2 Omni, a comprehensive package including all thirty-four UAD-2 Powered Plug-Ins accompanying either a Duo or more powerful Quad DSP card.